As the world's largest Zydeco festival, this music event celebrates the unique American roots of folk music. This year's Zydeco Festival celebrates this genre of music with its Kick-Off Dance, King & Queen Ball and the Zydeco Parade! Keep up the appreciation for the Zydeco music at its 30th year celebration! Explore the Scottish culture with the largest festival of its kind in the west. This festival celebrates all of Scotland's heritage and traditions. Listen to some of the best pipe bands in the world included ScottishPower Pipe Band, Halifax Citadel Regiment WWI Reenactment, and even the 1st Marine Division Band! An Irish and Highland dance competitions will also be an event to see, as dancers' perform the Irish Jig, Sword Dance, and the Highland Fling. For the 30th Annual Hampton Bay Days, this free event provides over 75 merchandise and craft vendors and more than 30 food vendors. Marketed as one of the largest family-friendly festivals and largest "Green" events in the entire east coast, Bay Days even has a 25 minutes fireworks show. In addition to providing fun for the whole family, the event serves a greater purpose, educating its spectators of the importance of the Chesapeake Bay. They continue to highlight aspects of the Bay to promote its upkeep and preservation for the future. In the Bourbon Capital of the World, residents and travelers come together to enjoy 6 full days of Bourbon fun. With historical tours to black tie events, this event even caters to the young with train rides, interactive games and more. Filled with Kentucky hospitality, this festival offers great entertainment, assortment of food, and informative tours. Take a day of rest and even enjoy the beautiful town of Bardstown. Come join more than 1,200 brave cowboys in their eight seconds of eternity on the back of an enraged bull. Although you won't be actually with these professional bull riders on the bull, you can watch them ride the beast for tickets as cheap as $15. For all the aspiring cowboys, there will be a Children's Rodeo for them to test their skills on the hand-rocked bucking bull. Jake Owen & Lonestar will also be taking the stage together in a concert before this week long celebration. For four whole days, the New York's skies will be filled with colorful hot air balloons. Contact individual balloonists to catch a ride as they pilot through the clouds. Besides all the beautiful sky ornaments, there will be music and band performances, craft fairs and even fireworks! After the sunset, the balloons will help the moon illuminate the night over Lake George Village. So bring your flashlights and fly up, up, and away! As the longest continuously-running jazz festival in the world, this festival has brought in jazz legends like Louis Armstrong, Billie Holiday and even Miles Davis. 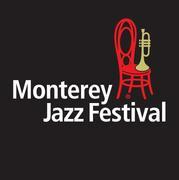 Enjoy the cool weather with a glass of wine and fill your ears with the brilliantly bright sounds of jazz instruments. With over 500 artists, there will be eight stages overflowing with talent.